After I run a workshop at NABA, the next day we headed Venice for Venice Biennale: the 11th International Architecture Exhibition. This year the director is Aaron Betsky who gave a very interesting theme to the exhibition, “Out There: Architecture Beyond Building”. Actually the exhibition ran during Sept 14 – Nov 23, already finished last weekend. During 20-24 October, 2008 (basically last week), I was invited to run a workshop for NABA Design Program. (Actually I wrote once about NABA last year when I was invited to give a lecture there, here is the LINK). This time was the workshop week for the whole NABA Design Program from the 1st year to the 3rd year, therefore 10 workshops were run at the same time. Super chaotic, super fun. Thanks to Stefano Mirti & Rachel Ficken for making all happen. Also thanks to my TA, Valeria Portinari, without her, my communication in Italian would not go far. My workshop is for the first year students, 23 of them together. The title of the workshop is “Fragile Wall”. The brief is very simple: the students have to build ‘a wall’ that can define space out of A3/A4 sheets of ordinary office paper without extra structure. Basically the wall has to stand itself, with little help of glue and steple only. 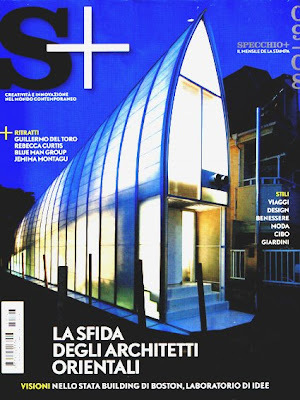 Last week of August, Specchio, a monthly Friday supplement on design, creativity & innovation of La Stampa – one of the most influential newspapers in Italy – was on The Newest Asian Architecture and City. Here is the cover of the magazine. Among 16 architects from 4 cities (Tokyo, Beijing, Seoul and Bangkok), one page each, all(zone) is selected to be one of them. Here is our page. Of course, we are very happy. 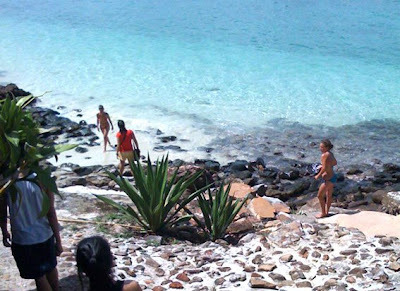 On the last day of the trip, the free day for all, instead of swimming in the deep blue sea on the extra white sand beach, we, architects, were working on a competition! Although this is not my first time in Hong Kong, I just noticed some cute aspects of the city. 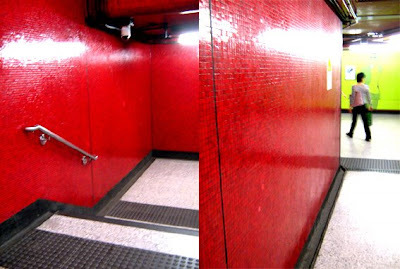 The cutest one to me is the all-over-cover-with-tiles surface. Starting from my first glance at a subway station here. Look at the super surface cover with red mosaic. A deep bow. 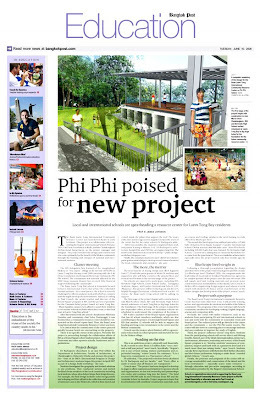 The project of Baan Leam Tong International Community Resource Center at the northest tip of Phi Phi Island in the south of Thailand is just published the whole page in Bangkok Post two days ago (10 June, 2008)! It is the project that we have been working with my students in Chulalongkorn University since last year. Of course, we all are very happy! This year for the annual exposition of architecture of The Association of Siamese Architects (ASA), Architect’08, I helped to organized International Forum, inviting many architects from aboard to give a lecture. One of the architects I invited is Kulapat Yantrasast of wHY Architecture from LA. Kulapat is a very good friend of mine and my ‘Sempai’ (in Japanese means a senior): we went to the same schools both Chulalongkorn Universtiy and The University of Tokyo, although we never exactly crossed each other in both places. We got to worked together in 1996 when we did a lot of academic events together, Bangkok in Two Weeks workshop and the series of Toyo Ito events. After finishing his Ph.D. from The University of Tokyo, he worked for Tadao Ando for several years. He was responsible for all the works of Ando outside Japan, including the art museum in Fortworth, Texas and Armani Theater in Milan. Four years ago, he set up his own office in Los Angeles called wHY Architecture, with his partner, Yo Hakomori. 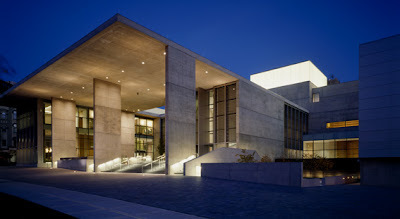 Last year, wHY Architecture just completed a major work, Grand Rapid Art Museum in Michigan, which is the first art museum in the world to receive LEED certificate. This is the Grand Rapid Art Museum. 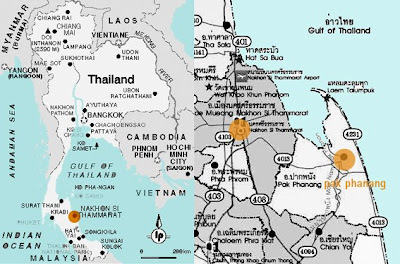 Last February, because of a family matter, I had to go down south of Thailand, Nakorn Sri Thammarat where the hometown of my father is. Every year, my family goes to make a small ceremony for our grand parents at the main temple of the city – Wat Prasrirattana Mahatat. But originally my father is from a small town, 20 km.s from the city, called Pak Phanang. 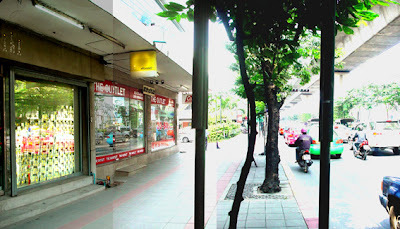 It used to be one of the most prosperous places in Thailand, because of rice cultivation. For the Valentine’s Season this week, we allzoners, celebrated the week of love by setting up a small installation at our storefront – next to one of the world most renown traffic jam spots of Bangkok.